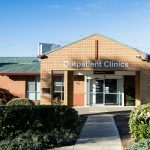 To access outpatient clinics at Werribee Mercy Hospital you need a referral from GP and your referral will be assessed within 8 days, for more information visit understanding the outpatient referral process and information on surgical pathways at our public hospital. On arrival to your Outpatient Clinics appointment you will first speak with a member of our reception team to check you in for your appointment. Please arrive 15 minutes before your appointment. This will give you enough time to find parking and walk to the Outpatient Clinics building. The walk can take up to five minutes. Appointment lengths vary according to your needs. Please allow an hour for your whole visit. if you wish to see a female doctor it is best to call the Outpatient clinics before your appointment so we can help you. If your clinic does not have a female doctor we may need to send you back to the GP so that you can be referred elsewhere. you may also like to bring a bottle of water and a book to read. given medication or sent for more tests and asked to return. We will make a return appointment for you before you go home. We will assist you to reschedule another time, please contact the Outpatients Clinics as soon as possible. If you no longer need to see one of specialist doctors or you have been seen elsewhere, please advise us as soon as possible that you wish to cancel your appointment. If you do not come without telling us twice, your GP will be contacted and your appointments cancelled. You can get another referral if you would like another appointment made. 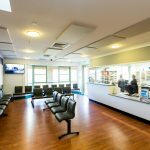 We offer clinics and services across Victoria. 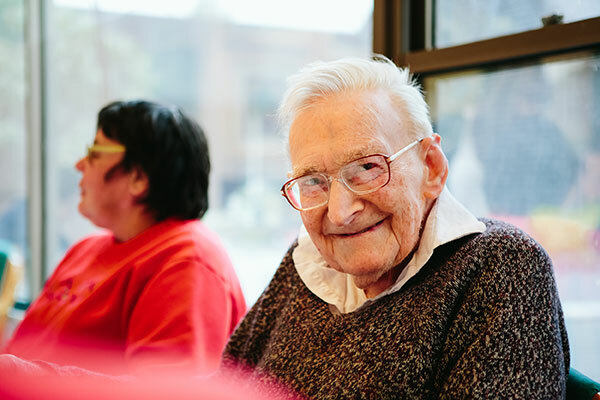 Our services are available to all public and privately insured patients. 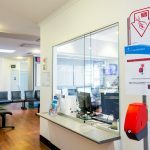 Outpatient clinics, antenatal and medical/surgical clinics are located in the small stand-alone building facing the Princes Highway next to the multi-level car park. The closest car park is the multi-level P5 car park. 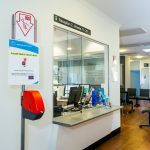 To park here enter off the Princes Highway – it is the next entrance after the Emergency Department entrance. Please do not park in the Emergency Department parking bays. Follow the signs, along the footpath to the public Outpatient Clinic’s building. This is approximately a three to five minute walk. the green line for antenatal clinics at Reception 1. You may also park in the car park in front of the main hospital entrance. Walk to main reception and follow the yellow line and signs to the Outpatient Clinic’s building. You will walk past pathology and down an internal hallway. The line will take you outside alongside the flags and pillars to the side of the ambulance bay. Once outside, keep walking straight and onto the public footpath. There are signs pointing you to the Outpatient Clinic’s building. This is approximately a five minute walk. 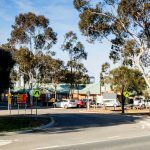 Visitor parking is available at the Werribee Mercy Hospital site. The closest carpark is the multi-level P5. 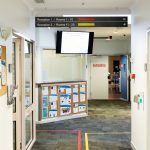 If you are unable to walk from the car park and need to be dropped off closer to the Outpatient Clinics entrance, please direct your driver to enter off the Princes Highway. Your driver will need to take a ticket and enter through the boom gate. Your driver can then drop you off under the veranda at the entrance door and continue to the multi-level car park. There are a limited number of disabled parking bays directly in front of the Outpatient Clinics building. Please park here if you have a disability parking permit or are using mobility aides such as crutches and frames. Enter off the Princes Highway and through the boom gate. Parking costs are available on the main hospital information page. You can pay at the ticket machine located at the multi-level car park (P5) or at the boom gate using your credit card (payWave). You will have 30 minutes to exit the car park once payment has been made. If you require a taxi please ask our staff to call you a taxi to pick you up from the Outpatient Clinics building. If you are using a taxi app, they will most likely to go to the main building reception which is accessed via the main hospital entrance on Hoppers Lane. The Outpatient Clinics building is open Monday to Friday, 8.00am-5.30pm. 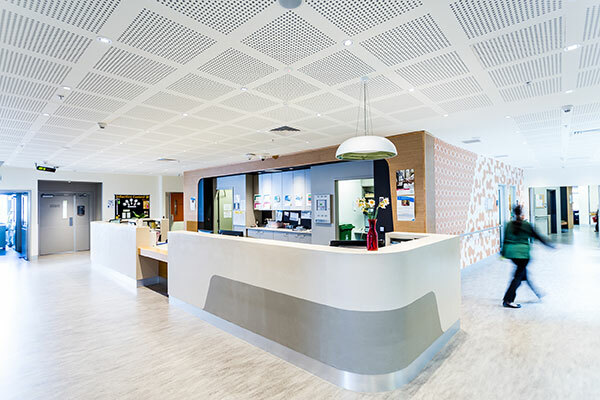 Werribee Mercy Hospital has one café located in the main corridor. 8am–8pm, Weekends (please note, hot food is not available on weekends). Entrance to the disabled parking area. Learn how to contact our services through a telephone interpreter if you have difficulty communicating in English. At Mercy Health, we understand some women feel more comfortable with a female doctor. Find out about your options. 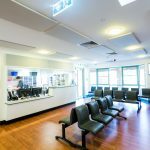 Understanding what happens next once you have been referred to Werribee Mercy Hospital, Outpatient Clinics. Elective surgery pathways at our public hospital - your outpatient appointment and understanding elective surgery categories and considerations. Every pregnancy and birth is different, and every person has a different expectation and understanding of the care involved in their experience. 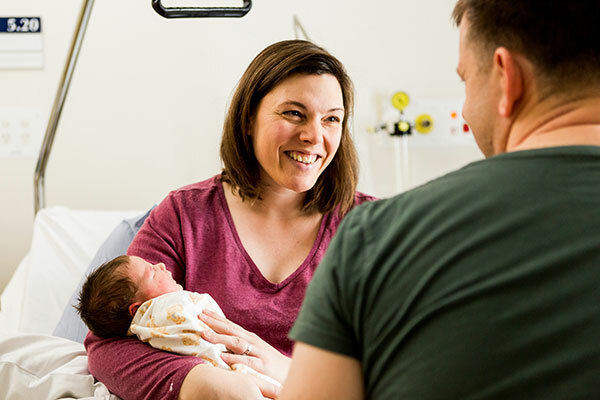 At Werribee Mercy Hospital, we offer a range of pregnancy care options to suit your personal preferences and individual health circumstances.